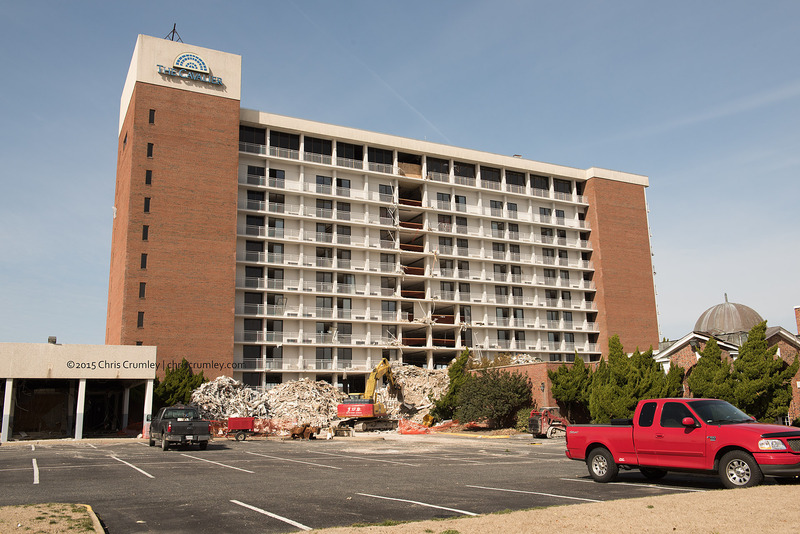 Cavalier Hotel (New) Demolition today. Mark Edward Atkinson and I were watching this wishing it would have come down by an "Implosion." This was a quick non-architectural shot with the Nikon. Also have stills and 4k video from the DJI Inspire drone. Had some wind (10mph gusts) but the Inspire handled it fine.